David Gilmour born David Jon Gilmour March 6, 1946, Cambridge UK was the lead guitarist and, along with Roger Waters, lead vocalist for the progressive rock group Pink Floyd. 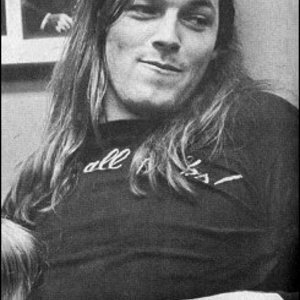 Gilmour joined Pink Floyd in 1968, when he was asked to replace former front man and guitarist Syd Barrett. Barrett was becoming increasingly difficult to work with (due to his deteriorating mental state), so Gilmour stepped in to fill the void. Gilmour's contributions helped to define what would become known as the "Pink Floyd" sound. With Roger Waters, Gilmour co-wrote many of Pink Floyd's classic songs, including "Shine On You Crazy Diamond"(Itself about Syd), "Wish You Were Here" (again, about Syd) , "Time", "Dogs", "Echoes", "Comfortably Numb", and "Run Like Hell". When Waters left the band in 1984 to pursue a solo career, Gilmour took over Pink Floyd as leader, and they released two more albums, A Momentary Lapse of Reason (1987), and The Division Bell (1994). Both albums performed very well, proving that the Pink Floyd name was stronger than any individual member. On July 2, 2005, David Gilmour and Roger Waters briefly set aside their differences and performed as Pink Floyd for one final performance at Live 8. The reunion was the most talked about event of the day, and sales of Pink Floyd's back catalogue shot through the roof. Rumours of a full scale tour began to surface shortly after the show, with both Gilmour and Waters being offered millions of dollars, but it wasn't meant to be. Neither Waters nor Gilmour showed much enthusiasm to work together again, with Gilmour being quoted as saying that he would rather spend his time pursuing his solo career. Much to everyones surprise, Gilmour and Waters reunited once again on July 11, 2010 for a charity performance for "The Hoping Foundation," an organization that supports Palestinian refugee kids. At Ronnie Scott's club in London, the duo performed four songs together: "To Know Him is to Love Him" (a cover of the old Teddy Bear's song), "Wish You Were Here," "Comfortably Numb," and finally (after a special request) "Another Brick in the Wall Part 2." Once again, just like after the Live 8 Reunion, speculation began regarding future reunions. No official Pink Floyd reunion has yet been set, but Gilmour did promise that he would join Roger Waters for one show on his 2010-11 "The Wall" tour, performing "Comfortably Numb." The show that Gilmour is set to play is being kept a secret to surprise fans and (most likely) to prevent scalpers from selling tickets at outrageous prices.